If you've followed our blog for awhile, you know that my MaMa and I are on a quest to make cookies halfway healthy! 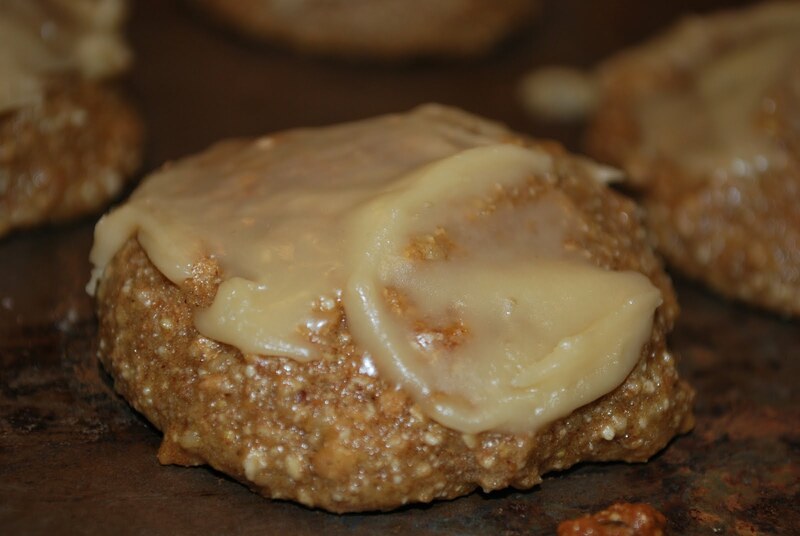 On our venture we've found some amazing cookie recipes that incorporate whole grains. We've also found some not so amazing recipes too. We try to decifer between them in our blog postings, but thought you might like to have all of our "tried and true", our favorite recipes in one spot. So here we go, get your sweet tooth ready, because these are yummy! These are definitely our "go-to" bar cookies when MaMa needs to take cookies somewhere. They are always a winner and we never have any left. They do require a couple of steps, but take one bite and you'll agree that they are worth every bit of the work! Click here for the recipe. For this recipe, you'll need 3/4 cup of Joseph's Grainery Soft White Wheat, cooked and cracked in a blender or food processor. **note - we like to cook up a bunch of wheat at a time and put it in the freezer so we always have it on hand. Doing so makes this and several other recipes much easier and quicker. I know what you are thinking..."lentil cookies? Yuck," but these cookies are deceptively delicious! What better way to sneak legumes into your family's diet? No one is ever able to guess what the mystery ingredient is in these cookies. Unless, of course, you call them "Lentil Cookies". Check out the full recipe here. Fore these cookies, you'll want to have on hand 2/3 cup of Joseph's Grainery Lentils. These are the type of cookies where you take a bite and savor it for a moment. Each small ball of dough is rolled in finely chopped walnuts before they are baked. You can choose any type of jam, jelly or fruit butter to put in the center. In addition to jams, we really enjoy filling the centers with apple or pumpkin butter. I'm getting hungry just thinking about them. Click here for the full recipe. You'll need 1/3 cup of Joseph's Grainery Soft White Wheat, cooked and cracked in blender or food processor for this recipe. It's just torture typing this post...all of these cookies are making my mouth water. These peanut butter cookies are no exception and they definitely belong on our list of favorites! They taste just as you'd expect, but the cracked wheat adds a nice texture and makes them just a bit more chewy. Here's the recipe. Make sure you have at least 1/2 cup of Joseph's Grainery Soft White Wheat on hand. Yummmmm. Yet another tastey cookie. The sweet sugar glaze paired with the bran-like texture of the cookie makes for an irresistable combination. Click here for the recipe.